This sprawling 7,000 SF home is located in Seattle's Queen Anne neighborhood, surely doesn't fit the normal Craftsman styles we see in the Pacific Northwest. Built in 1906, it's ornate details and beautiful architecture attract neighbors and tourists alike. Built in 1882, the Seattle Ward House located in the Capitol Hill neighborhood, is one of the oldest homes in Seattle. It's gorgeous Victorian Gothic architecture is preserved beautifully. Initially the home was located in Seattle's First Hill neighborhood and was moved to its current location after the city threatened to demolish it and it was purchased by a lawyer with a love for historic architecture who paid to have it relocated. It currently stands proudly- reminiscent of times passed. If you haven't had the opportunity to pass by Seattle's notorious Sam Hill House, you're missing out. 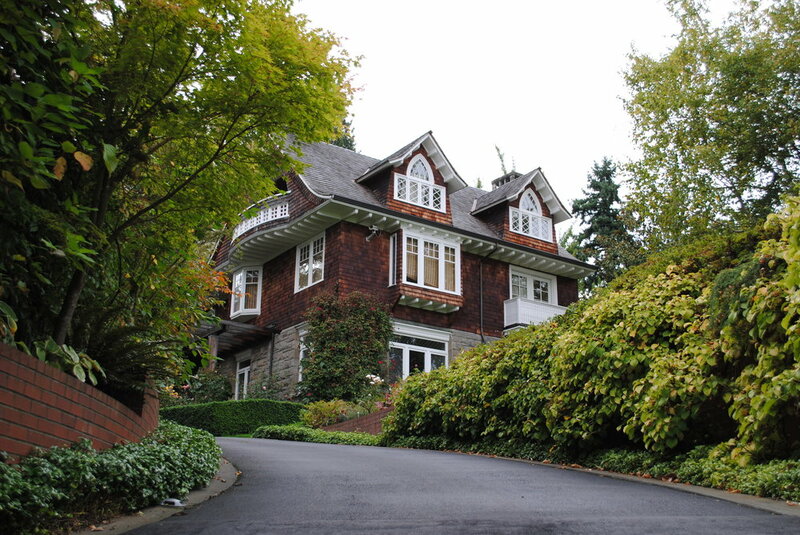 It is still one of Seattle's most expensive homes, with lavish finishes and architecture. It features soaring Pacific Northwest views and interiors to die for! 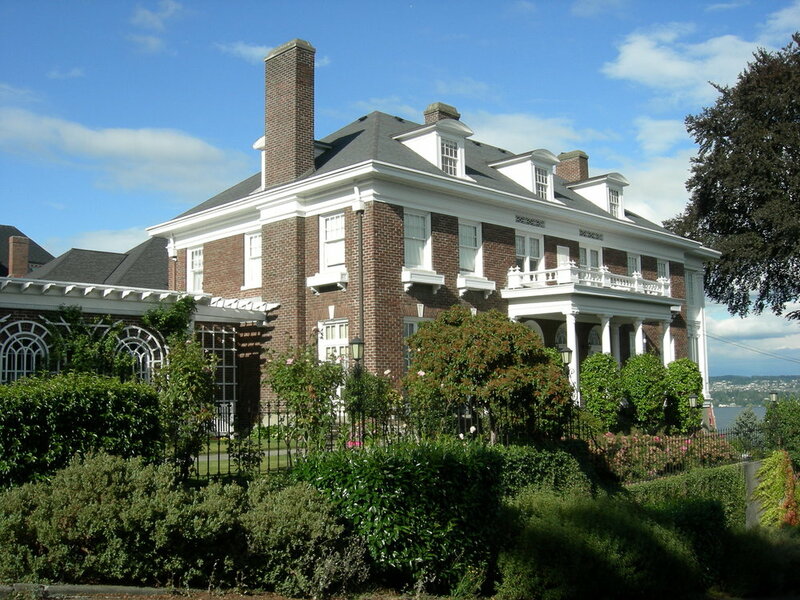 Located in the Madrona neighborhood, the Raymond Ogden Mansion was designed by Joseph Coté and built in 1913 as the residence of surgeon Alfred Raymond. It was later the residence of Myron W. Ogden. The gorgeous, unique brick Colonial Revival is also known as the "Belvedere" or as the Myron Ogden House.